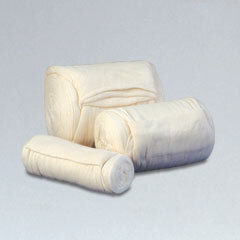 Used for making polishing pads, this thin, lint free cotton, is wrapped around the cotton wadding. The finest grade cotton wool roll. 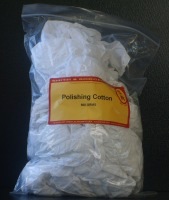 Used in the making of a polishing pad, this cloth absorbs the shellac polish and then releases it through the polishing cotton. 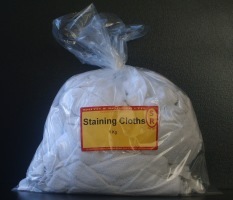 A recycled white towelling that is very absorbent and ideal for staining and cleaning work. Not as effective as staining cloths but ideal as a throw-away cloth. Stockinette is primarily used to apply PC and AC lacquers by hand. Tak Rags used to remove dust from sanded surfaces. Used in rag rolling to produce a special paint/wood effect.